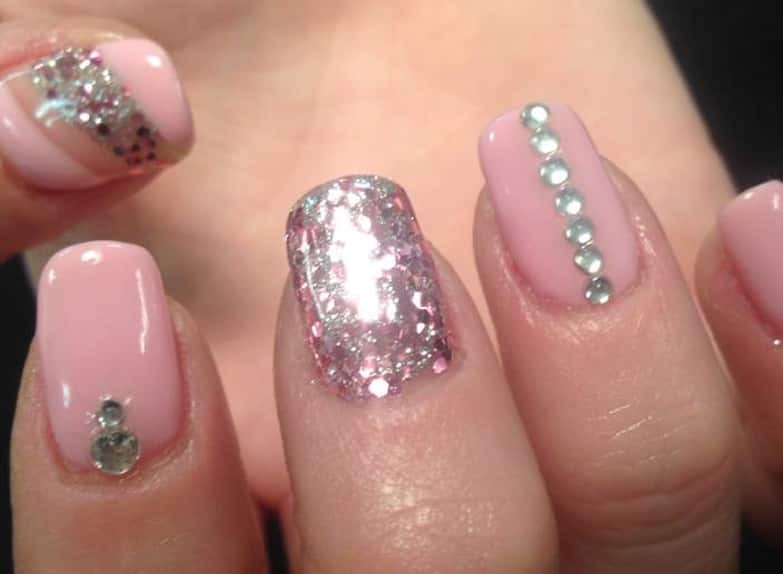 Top Tips is the longest established nail bar in Wellingborough Northampton and offers all things to do with nails. We take great pride in our acrylic extensions. Our acrylic nail technicians compete all over the country and are regularly placed in the top three against the countries best. Our most popular treatment within our salon, acrylic nails are now so popular most ladies include them as part of their regular beauty regime, our nail technicians are highly qualified and experienced, excelling in National Nail competitions and regularly being placed in the top three. We offer 3 types of extension including Acrylic Nail Sculptures, when we apply your acrylic nail extensions we never over etch the natural nail plate and never use an electric file (something many nail bars are now doing, causing damage to the natural nail) We take looking after your natural nails as important as your nail extensions. 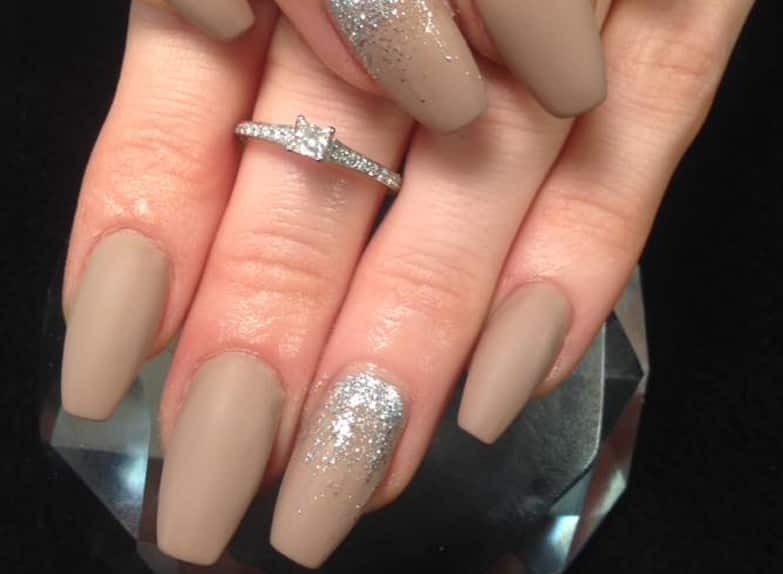 Once you have had your nail extensions applied you need to go into a maintenance programme, which is Infills and Backfills, if you do not wish to keep your acrylic nails on we always recommend that they are removed correctly within the salon, if nails are not removed in the correct way you can cause damage to your natural nails. 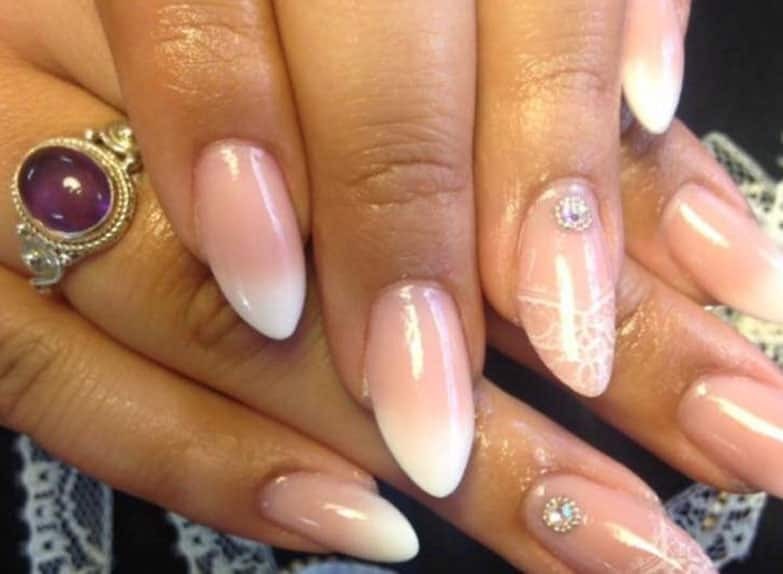 Sometimes referred to as rebalancing, this is the maintenance programme for acrylic nail extensions, the maintenance should be done every 2 to 3 weeks, some people will look at their nail extensions and think it doesn’t need doing this regular because they cant see any lifting but you should still stick to this time scale because what is actually happening is the acrylic extension is growing down with your natural nail and if it wasn’t infilled they could over balance, putting the natural nail at risk of breaking. So what is the difference between infill and backfills? Backfill/rebalancing restores the structure of the acrylic nail, as your natural nail grows the smile line on your nail extension moves down, during a back fill the nail will be adjusted back to the desired length and the free edge thinned out so as we re apply the acrylic it does not become to thick, the smile line will be re applied and the apex of the nail will be re strengthened and finally the cuticle end will be filled in. Express manicure: shaping the nail and cuticle work followed by a nail polish of your choice. Express pedicure: Shaping the toenails and cuticle work followed by a nail polish of your choice. Luxury manicure: Exfoliation, massage and mask with heated mitts, shaping and buffing of the natural nails, cuticle work followed by a nail polish of your choice. Luxury pedicure: Soak, exfoliation and hard skin removal followed by a massage and mask with heated booties, shaping of the nails followed by a nail polish of your choice. Callus peel: This can be added to either of the pedicure treatments, callus peel is added to areas which have a particularly bad build up of hard skin, the callus peel is left on for 15 minutes allowing us to scrape away unsightly hard skin (more than one treatment may be needed on particularly bad areas). A fantastic nail treatment that was actually invented in Northamptonshire. Many people refer to it as shellac nails but this is purely because it was one of the first brands made, since then the popularity of the nail treatment has grown and many high profile nail company’s do their own brand, we have tried many different brands including shellac and have now settled on our favourite which is the Attitude range. Long gone are the days of waiting for nail polish to dry, you can now just pop into your nail salon and have this treatment done and leave straight away with no fear of your nail polish denting or smudging. Your gel nail polish will last two to three weeks and should be removed professionally. Follow our Facebook link for images. 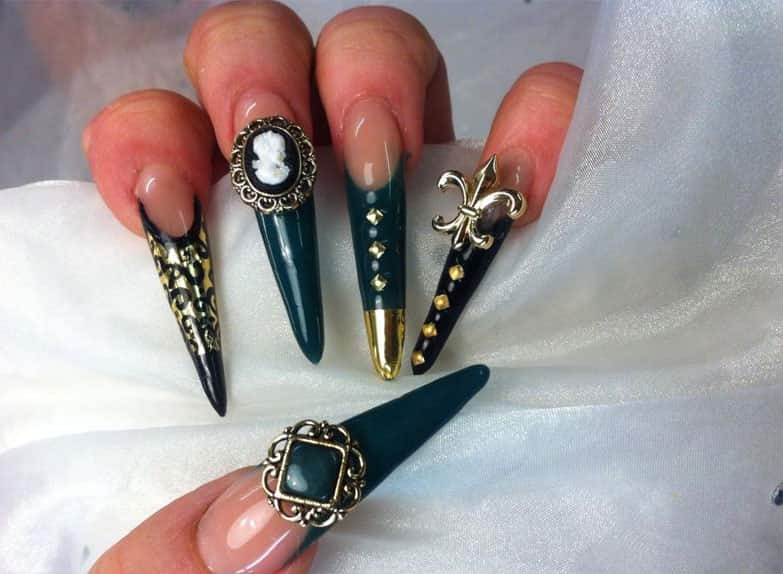 3D nail art is three dimensional artwork on the fingernails, generally the design is created onto an acrylic nail extension. 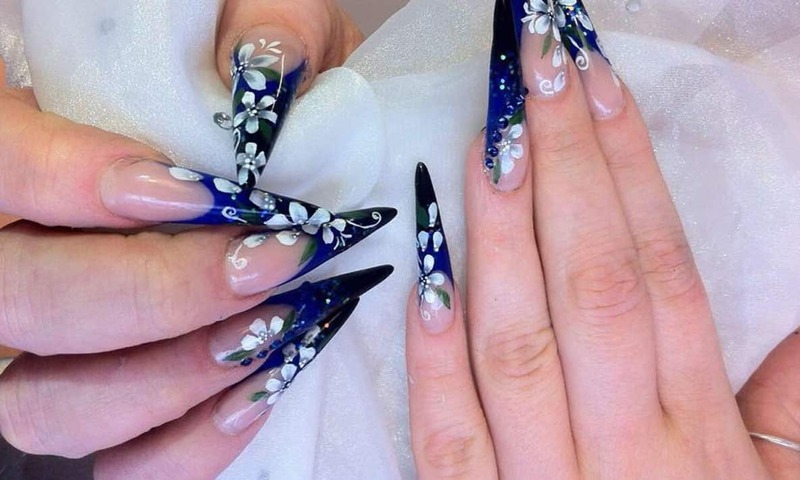 Nail salons are seeing today’s modern woman using their acrylic nail extensions as a big fashion statement and traditional nail shapes are being replaced for the new lipstick, ballerina and stiletto nails, many people are adding the 3D nail art and nail technicians are loving the challenge enabling them to showcase their nail art work, follow our Facebook link for example images. At a time when everyone is after vibrant nail extensions with 3D Nail Art and full nail art all over the nails, some ladies still prefer the exquisite natural looking nail extensions. 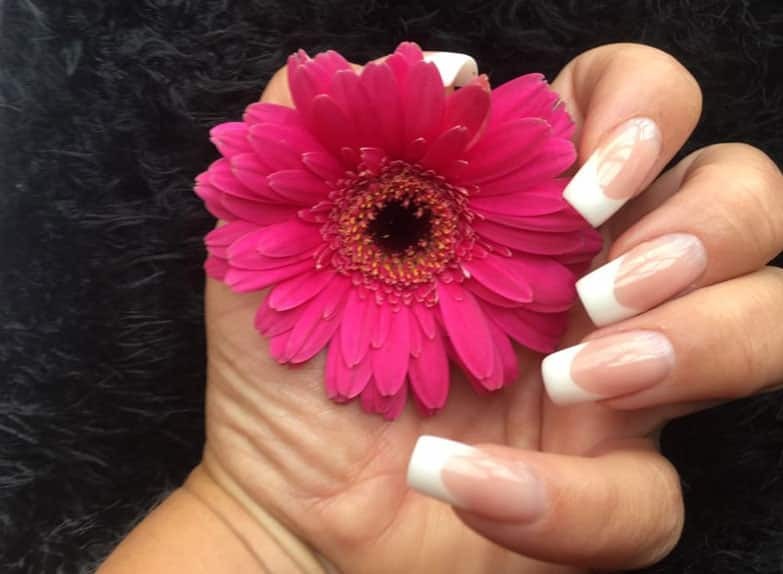 We can offer these with either tip with overlay in clear or with a permanent French polish but with a more natural looking white, we can also offer the Nails Sculptures in clear or with French or American polish. Acrylic Nails Our salon is an mma free salon so you can feel safe in the knowledge that care is taken with the natural nail whilst applying an acrylic extension. An acrylic extension should always be removed professionally. Strengthen your nails and keep your polish lasting longer with the latest gel polishes. To include cuticle work, buffing, exfoliation for removal of dead skin, hard skin removal, massage and mask with hot mitts and then finished with a shape and polish of your choice.